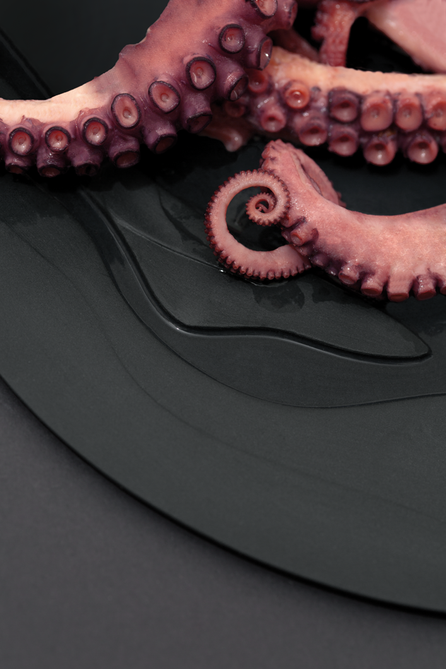 Salé deals with an original and very natural foodsource - the sea. Rough and sandy surfaces refer to this. The collection includes tableware consisting of bowls, plates and spoons.A black underplate works as a space for dry foods like bread and also as the frame for the glass bowl, which is made out of solid, sandcasted glass. 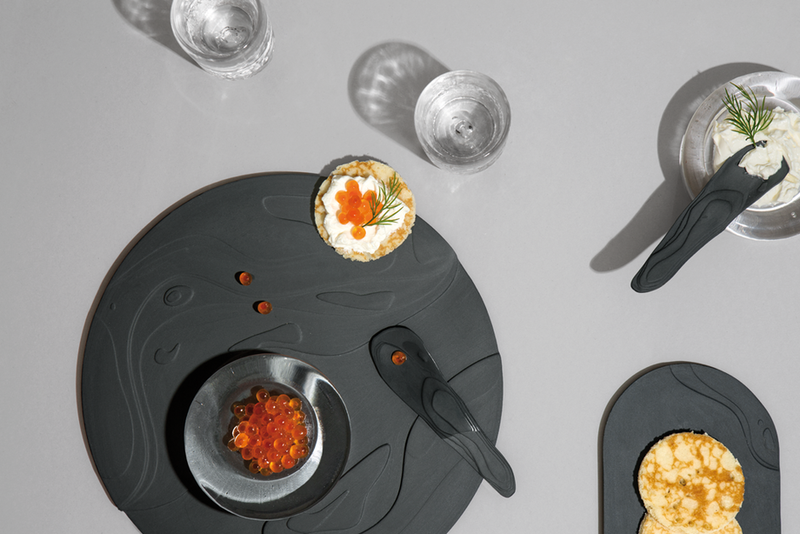 The contrast between unglazed porcelain and the shiny, transparent glassobjects place emphasis on the served food. The bowl can be put in the freezer before serving, to keep the content cold and fresh if needed. The Porcelain pieces are available in black and white. Additional the beautifully crafted Salé collection of mouthblown drinking glasses invites to share not only food, but a drink with friends.